Q Consulting believes there are attributes that will help identify individuals with the highest potential. Most individuals display these qualities, especially during an interview. Only those individuals who consistently display these qualities constitute the top 1% of leadership talent. They are able to succeed in a business landscape which is volatile, uncertain, complex and ambiguous. 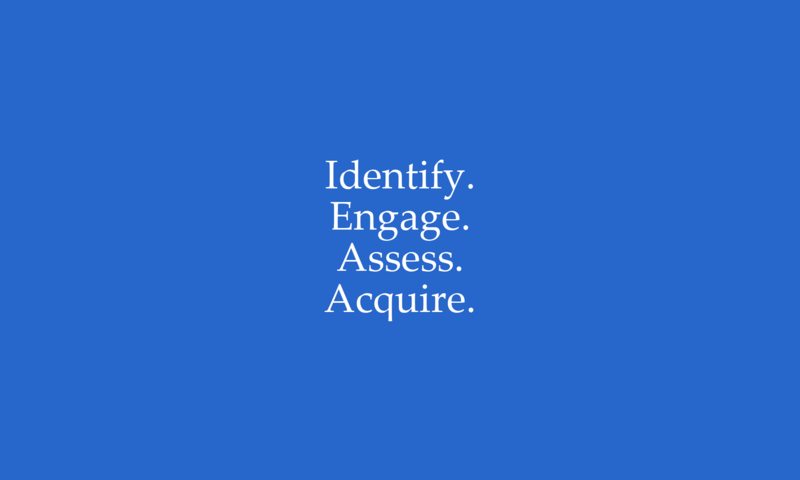 Find out how we identify, engage, assess and acquire talent. Executive talent research and mapping. Q Consulting compiles dossiers on candidates, assessing background via information gathering, discrete approaches and confidential insights from existing relationships. Q Consulting are tenacious and relentless in identifying the top 1% of leadership talent. By accessing Q Consulting’s talent networks and existing relationships, the identification of the top tier of executive talent is quick so your business meets only the best candidates in the market. Q Consulting’s research capability extends across Australia, Asia, North America and Europe. Attracting the top 1% of executive talent. It stands to reason that the best executive talent is currently employed, motivated and unlikely to want to move companies. In a highly competitive environment your business needs first class negotiators to present your opportunity in a compelling manner. Leveraging Q Consulting’s networks, Q Consulting can build trust quickly with candidates, aligning their aspirations with your business. Q Consulting’s clients gain access to the best talent, who have a genuine interest in the opportunity, thus increasing your business’ chances of hiring the best executive talent. Helping companies hire successful leaders isn’t just our business, it is our passion. Most companies base their recruitment decisions on gut feel. Q assess technical capability, leadership potential and explore and observe candidates ability to perform successfully in difficult situations. Q continue to assess candidates through the entire recruitment process, observing and reporting any behaviour that is incongruent with the qualities required for the role. We judge candidates by their actions and behaviour, not the answers they give during the interview. Our track record suggests this approach greatly increases the likelihood of hiring the right person. Ensuring you hire the best executive talent. When it comes to hiring executive talent that is in demand, the offer stage can often to be fraught with danger. If handled without the required tact and thoroughness it often leads to business’ missing out on their top executive targets. Conversely the offer stage can also highlight candidate behaviours that are not in alignment with a business’ culture and core values. Q Consulting takes care to ensure complete transparency throughout the negotiation process, identifying problems before they arise and communicating with all parties in an upfront and transparent manner. The aim is to ensure that all parties are comfortable before agreeing terms. This approach goes a long way to ensuring your business are hires the right executive talent, greatly reducing your business’ risks and avoiding costly hiring mistakes. How Q assess the top 1% of talent. Q Consulting believes these attributes will help identify individuals with the highest potential. Most individuals display these qualities, especially during an interview. Only those individuals who consistently display these qualities constitute the top 1% of leadership talent. They are able to succeed in a business landscape which is volatile, uncertain, complex and ambiguous. The ability to intelligently adapt one’s behaviour, both short-term and long-term, to respond to problems that keep changing. It is the ability to think through problems, act swiftly, while negotiating ambiguity, uncertainty, complexity, volatility. It is the hallmark of a person who demonstrates sound moral and ethical principles. Integrity is the foundation on which a talent builds relationships, trust, and effective interpersonal relationships. Raw intelligence refers to a candidate’s faultless articulation of ideas and thoughts with great clarity. Talents with such qualities can have their presence immediately felt in a room of people and have people talking about them even after they have left. We test their breadth of behaviours and judgements based on different situations, scenarios, intended results, morals and value. In its essence, it’s all about keeping it simple. A fundamental behaviour we expect from our candidates is that they do what they say, 100% of the time. This sets them apart from those who don’t and they understand the importance of being professional, dependable and have moral obligations to the company and themselves. When faced with a challenge, those that take the initiative to start working on them rather than wait for things to happen are the candidates we put forward. Candidates that that have this trait embedded within them are natural leaders, innovative and are persistent in their pursuit of a solution. Often, they are not afraid of challenging the status quo and will come up with ideas that most will say are just too hard. Having interviewed over thousands of candidates, the best candidates are the ones that put their teams at the core of how they explain their successes. All the best people tell us how good their teams are, not how good they are as individuals.The lack of humility is arguably one of the most common factors as to why we do not put forward seemingly suitable candidates. Humility also enables empathy, which is critical to the emotional engagement needed for strong entrepreneurship and innovative thinking. We put forward candidates that are transparent and upfront about any circumstances that may influence the acceptance of the role such as salary expectations and any upcoming time off.All this will be in the best interest of all parties involved and sets everything off in the right direction, even if it may be a little uncomfortable at the start. Businesses that want to grow, improve and avoid stagnancy need curious people. Curious people naturally want to learn how to do things better, which improves the company as a whole. Being open-minded means the talent will have a willingness to listen to other ideas and opinions and consider the possibility that they are wrong and their ideas can be improved upon. This is an important quality to have in your workplace. With everything moving at such as crazy pace, it has made problems even more complex, uncertain, ambiguous and volatile. Harvard Business Review refers to the this as VUCA. On the flip side, multiple solutions can now be tested and tried at a much faster pace. This reduces the risk of going down the wrong direction that can cost the business time and money. Often, the right solutions come with failing along the way and learning from those experiences. Candidates that can deal with this ambiguity and have the right attitude to give things they have never tried before a good shot are in the top 1% of talent.